The Stripper Deck is one of the most ingenious magical tools ever devised. 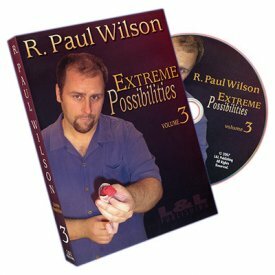 This broadcast quality DVD teaches you how to use the special secret of the Stripper Deck to perform 25 miraculous feats - just as if you were a professional sleight of hand artist. Force someone to choose a card you already know! Cut directly to any card in the deck - even after it has been shuffled! Cause a card to mysteriously rise from the deck! Magically separate the red and black cards from a shuffled deck - in seconds! My first stop - For ANYTHING magic related.